School Graduation Rates Are Deceiving. 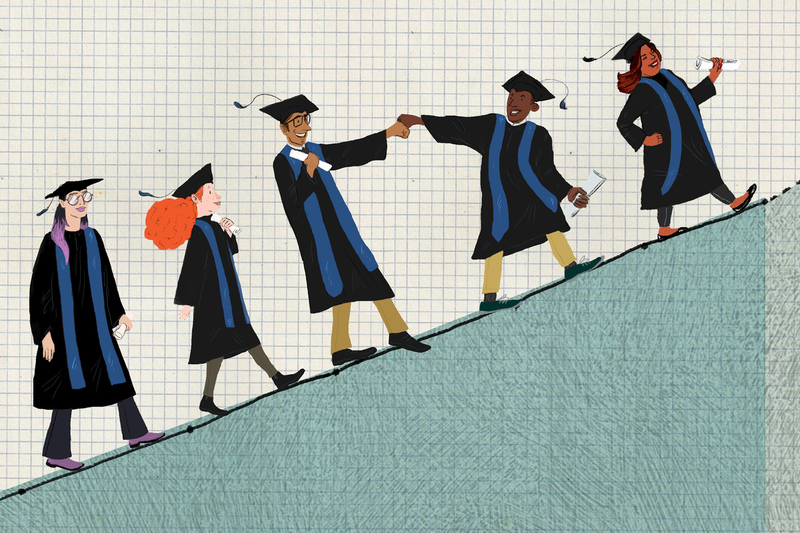 Here Are 7 Things That Would Help : NPR Ed High school graduation rates are improving, but an investigation into the numbers shows some of that is due to quick fixes. Policy experts respond with their suggestions for real progress. "When I took office almost eight years ago, we knew that our education system was falling short," he said at a Washington, D.C., high school in October. "I said, by 2020 I want us to be No. 1 across the board, so we got to work making real changes to improve the chances for all of our young people. ... And the good news is that we've made real progress." High school graduation rates in the nation's capital, he noted, have grown faster than anywhere else in the country, from 53 percent to 69 percent. But as we've reported over and over again, those numbers are deceiving. While some states are working hard to get kids a diploma, others have lowered their standards or turned to questionable quick fixes. We've talked to a lot of experts on this. And from those conversations we've pulled seven things they say would improve how the graduation rate is tracked and reported — and that would actually measure student success. A version of this story was published on NPR Ed in June 2015. An earlier version of this story had an outdated job description for Sonja Santelises. She is now the CEO of the Baltimore City Public Schools and no longer at The Education Trust.